Today was “The Day Before the Meeting” and it was a big day! This morning, we moved into our Monster Energy motorhome/trailer in the paddock area. Monster hooked us up with a great set up. Tucker got settled inside with his gear while Kirk and Rob set up the work area outside. It’s been a challenge to get comfortable without our regular setup but we’re adjusting well. 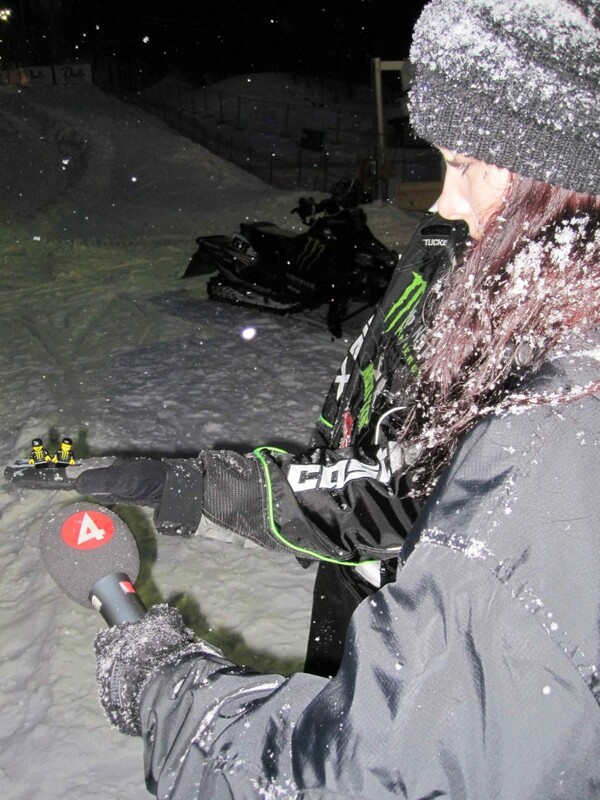 Monster Energy, Arctic Cat and the promoters have been very helpful to make us feel “at home” in Sweden. At noon, Tucker along with a select group of riders, did the coolest media event I’ve ever seen. 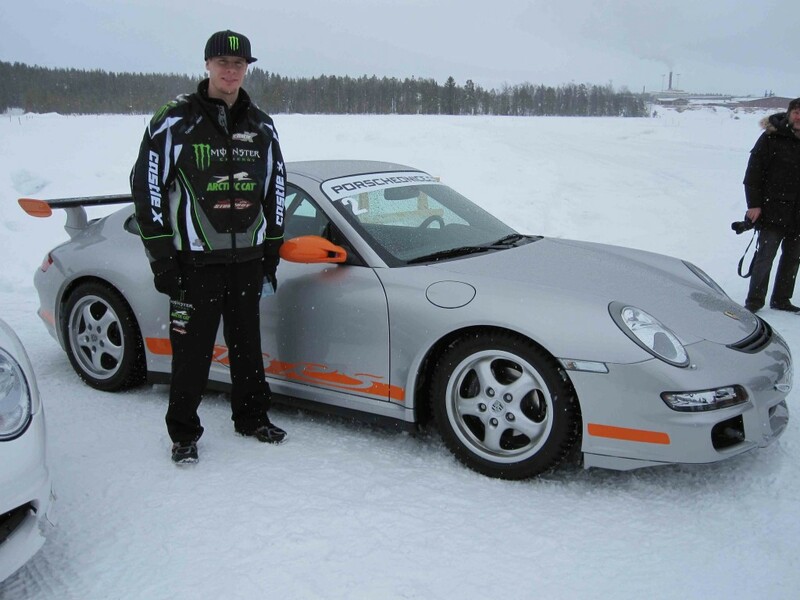 “Porsche on Ice” set up an ice la-mans course right outside of Mala and let the riders drive Porsches wide open! There were three cars to chose from. The riders were allowed to drive all of the cars as many times as they would like. It was wild! Steve and Paul joined Tucker and I on our second run in the GT3 RS-08. After a few times on the course, Tucker started to feel pretty brave. That’s when I said we better call it a day! There was also an ice driving champion at the event who took everyone for a ride with him. His car was much faster and had studs twice the size of the other cars. 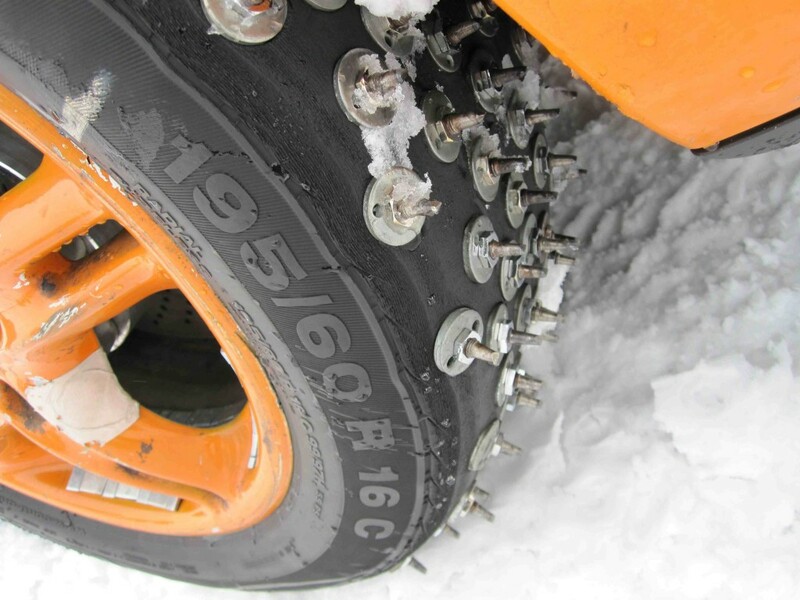 I went for a ride and quickly learned why he needed those serious studs! It was the craziest ride of my life. Everyone got to ride for one lap but he requested to take Tucker for mutiple laps. Tucker said he really “opened her up” then rolled a rear tire off of the rim. I think he even made Tucker a little nervous. After “Porsche on Ice” FIM held had a press conference. The Scandinavian/European media is so interested in having Tucker race at the World Championship. Next up was the rider’s meeting. It was incredible to see so many countries represented-Russia, Iceland, Norway, Italy, Sweden, Finland, etc. The Russians are very patriotic. Below is a picture of a couple riders…I think. I guess I should have brought a big American flag with us! 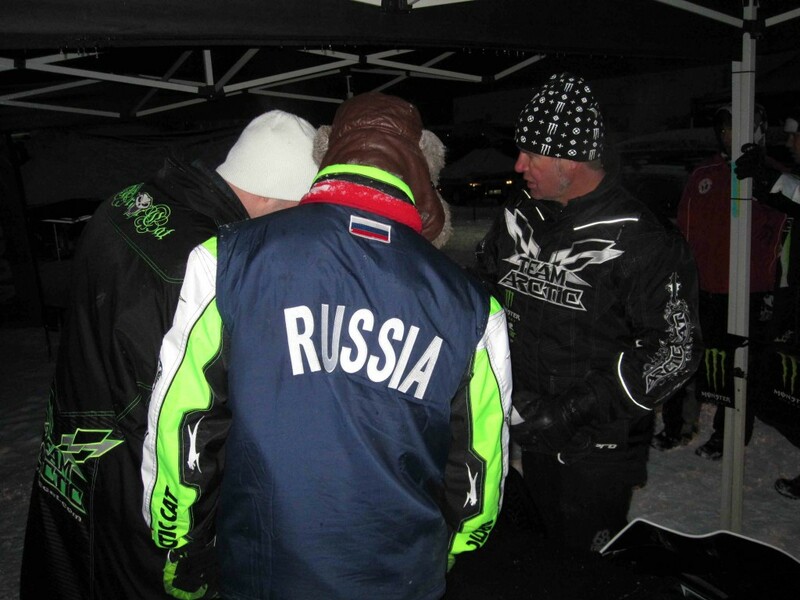 The 40 riders were spilt into two groups for 15 minute practice sessions. The lap times are over a minute. The track is a great combination of rough straights, tight corners(left and right), jumps, elevation changes and rhythm sections. Tucker logged the fastest lap of the day on his final lap of his practice session. Emil Ohman was second fastest. 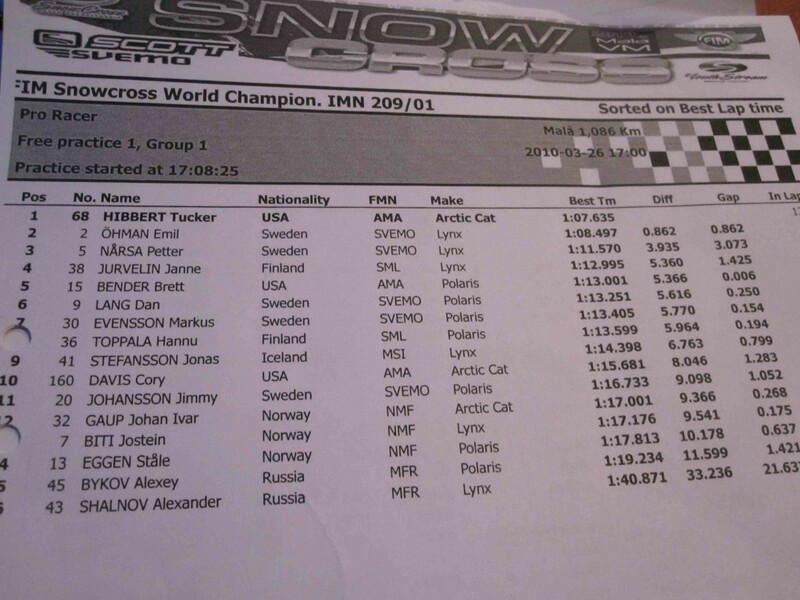 Both Arctic Cat Swedish riders were at the top of the chart too. I think there is a possibility of an Arctic Cat sweep. We’ll sleep good tonight. Everyone wanted to talk to “The Captain” to get the secret setup. It’s no secret and he was happy to help anyone on a green sled. Here’s a link of the Ch.4 feature – http://www.nyhetskanalen.se/lokalt/umea. The story is halfway down the center of the homepage. Tomorrow is the big day. Make sure to wake up early and watch online at freecaster.tv. Click HERE for a detailed schedule and make sure to change the schedule to your local time zone. I haven’t seen a link to watch the event on freecaster.tv yet but have been told that it will be on tomorrow. I’ll be updating Tucker’s Official Facebook Page with results as often as I can. I apologize or all of my spelling/grammar errors. I’ve been writing these posts late at night! We’re in Mala! We finished our testing in Storuman today and drove to Mala late this afternoon. Testing went really well. Tucker rode with Johan Lidman and Viktor Stenman who finished first and second in the Swedish Championship last weekend. It was great for Tucker to ride and test starts with them. 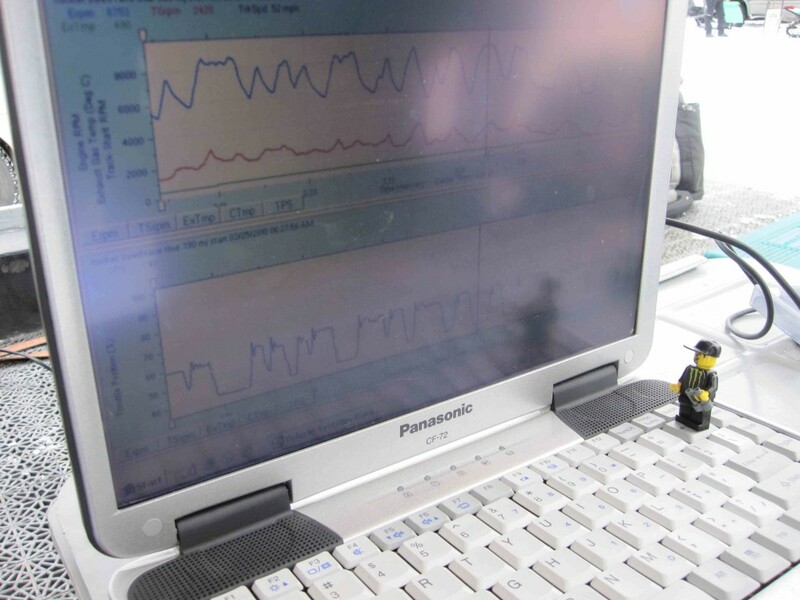 Steve was on hand to check the RPM graph to make sure sled was set up for the holeshot. Paul took a hammer to a minor dent Tucker put in the tunnel. Overall, I think we’re ready to race! Ch.4 did a feature on Tucker this evening. They will run a short story in the morning and a five-minute feature tomorrow night. I’ll make sure to add a link when it gets posted online. The lovely reporter even requested an interview with Steve and Paul. They are quite popular in Sweden. Tomorrow the real fun begins. 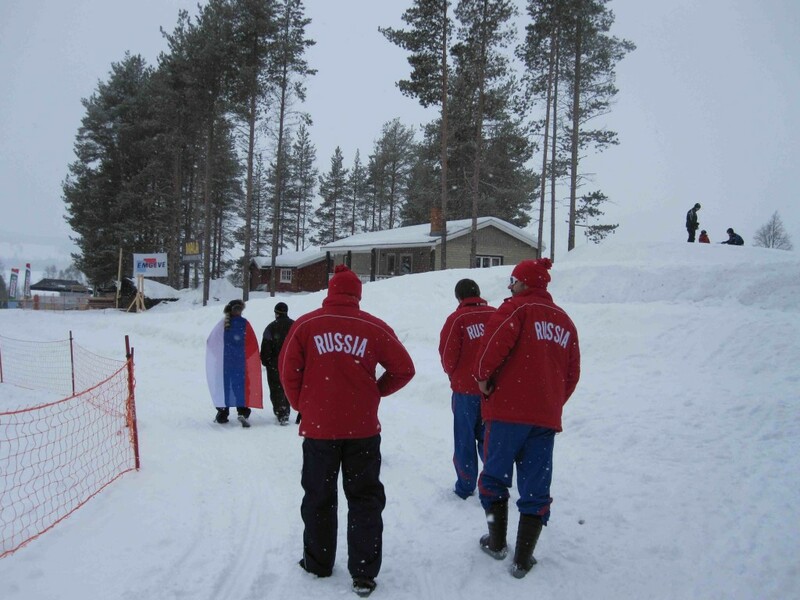 There is technical inspection in the afternoon with practice in the evening. Tucker is busy all day with media events, interviews and a press conference. It sounds like he’ll get to drive a Porsche on an ice track. That’s what I call a cool media event! 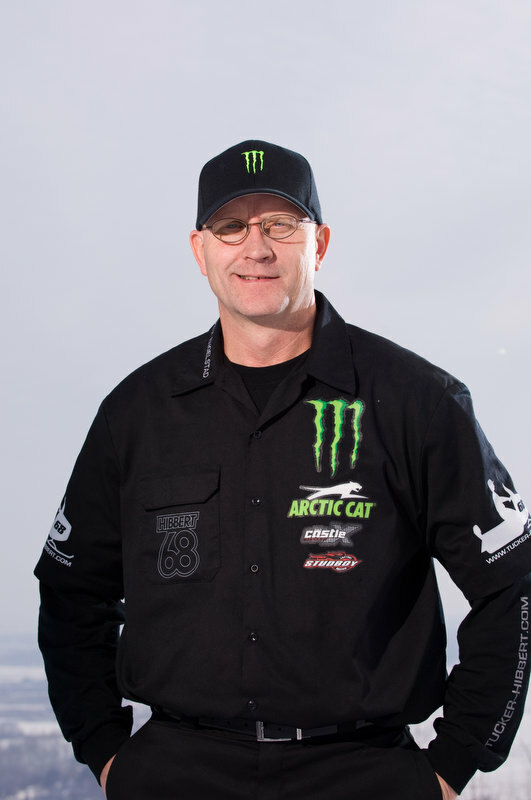 We would like to send a huge thank you to Mikael Yngvesson from Yngvessons Maskin AB (an Arctic Cat dealership) in Storuman. He let us move into his shop for the week, lent us a trailer, tools, etc. We are so thankful for him, his family and employees. We will never forget them! Mikael runs a great business. If you ride an Arctic Cat in Sweden, you need to visit Yngvessons Maskin AB. Today was our first full day in Sweden. After a full night’s sleep, the guys were ready to dig into the sled and Tucker was itching to ride. 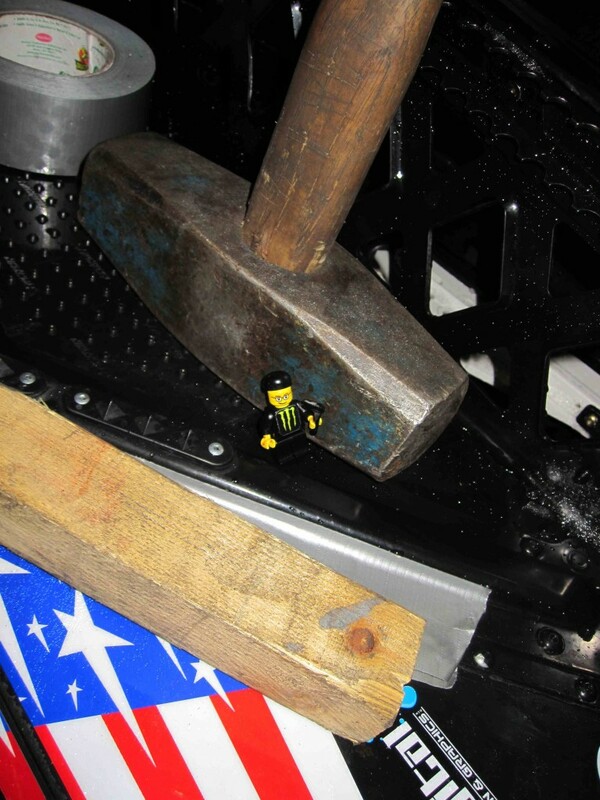 We spent the morning working on the sled and getting things organized for the race weekend. 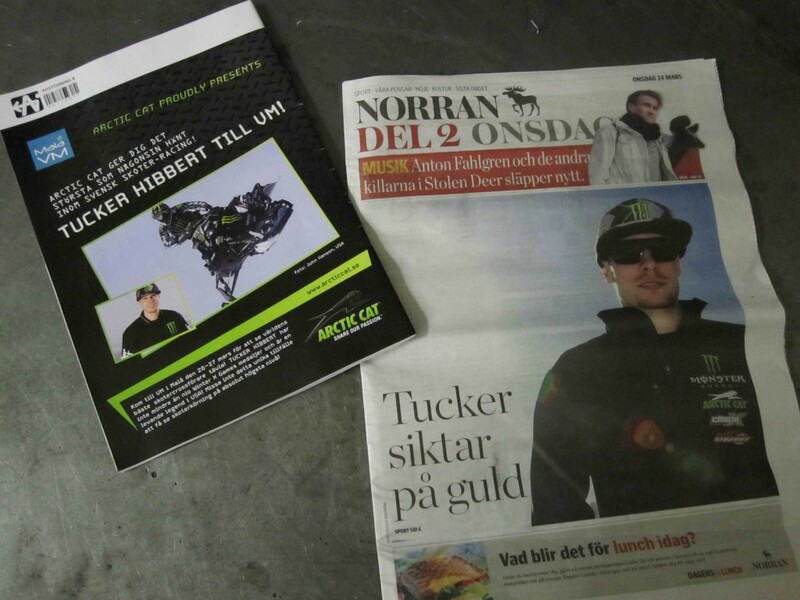 This afternoon, Tucker met with two Sweden Arctic Cat riders to ride at a local track. Riding and testing went well and Tucker feels comfortable with his sled set up. Steve and Paul had another eventful day. 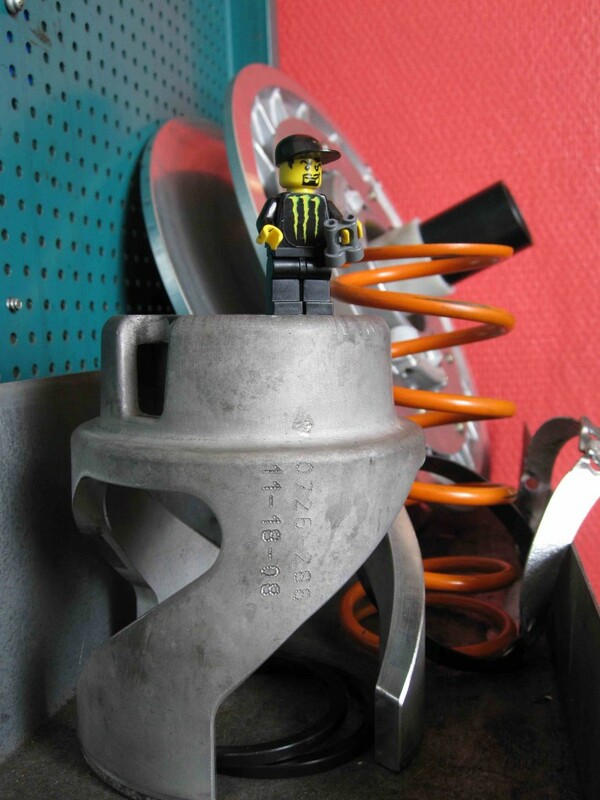 Steve was busy dialing in Tucker’s clutches before we went testing. Paul seemed a little distracted today. Apparently, he was daydreaming about dinner. 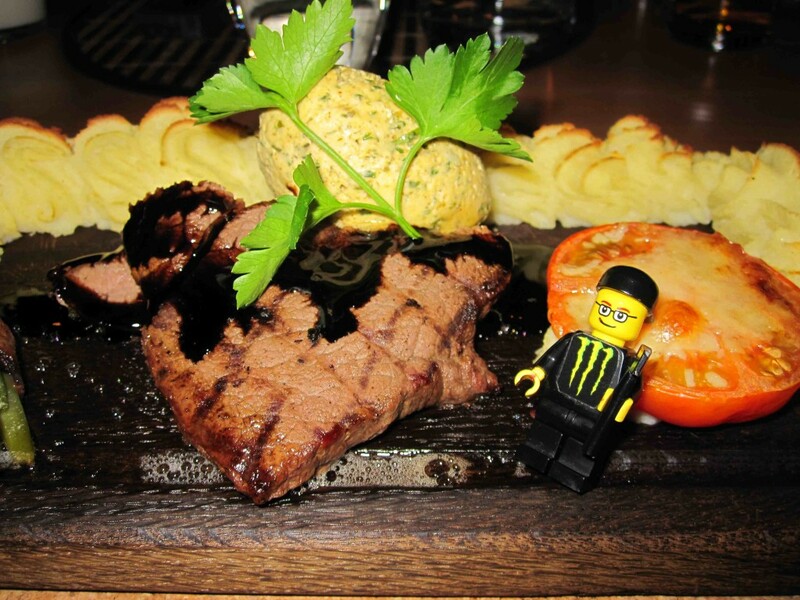 Below is a picture of him with his moose steak. Team 68 successfully made it to Sweden! First stop – an Audi dealership to pick up our car for the week. Audi is a major sponsor of the event and was generous enough to lend us a vehicle to drive during our stay. Tucker was greeted at the dealership by a reporter and did his first interview of the week. We’re all surprised by the kindness of everyone we’ve met here so far. Even the flight attendants on our flight were nice! Sweden is absolutely stunning. We’re excited to be here and looking forward to sleeping in a bed tonight. It’s going to be a busy week! 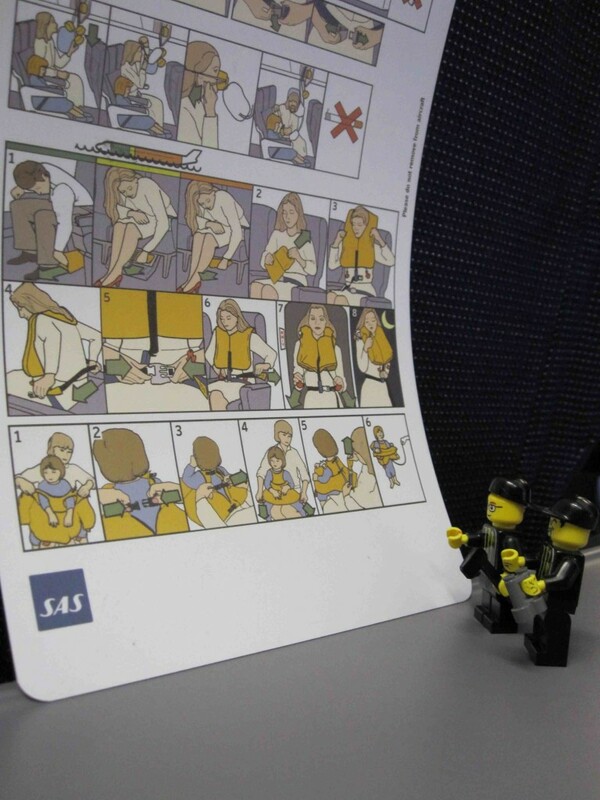 Photo 1: Steve and Paul intently paying attention to the safety features of our SAS Airbus 330. 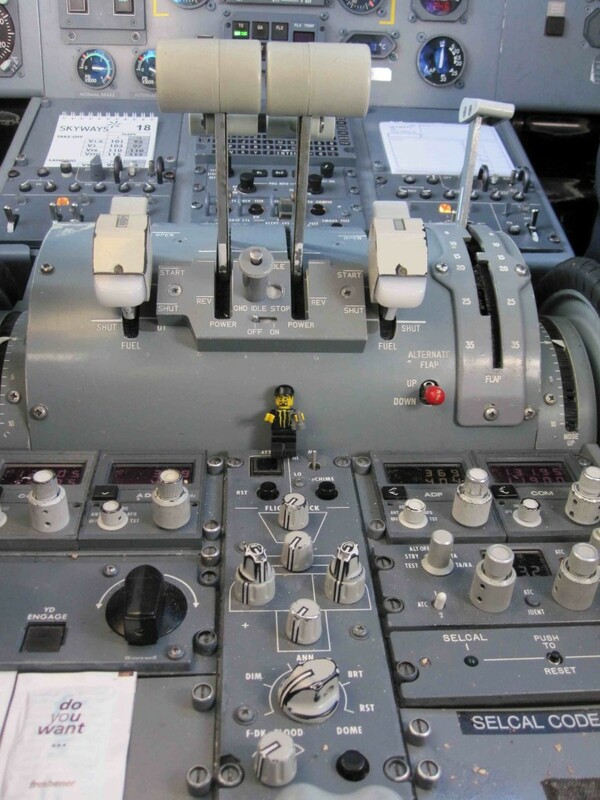 Photo 2: On our next flight from Stockholm to Skelleftea, the pilots heard that Steve was on the plane and asked him to dial in the correct jetting for the altitude we were cruising at. He gladly rode in the cockpit the rest of our flight. 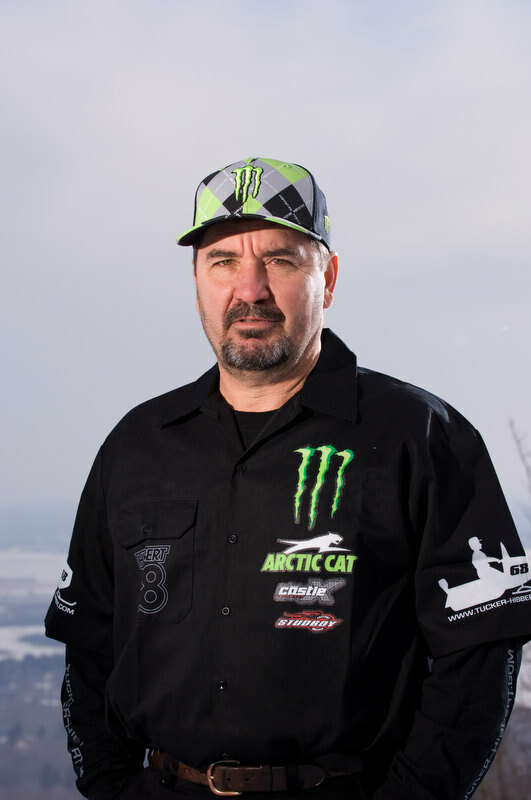 Unfortunately, two of Monster Energy/Arctic Cat’s crewmembers will not be able to join us at the World Championship in Sweden. For undisclosed circumstances, both Steve Houle and Paul Engelstad were denied travel approval by Department of State. Perhaps it was due to Steve’s passion for firearms* and Paul’s application being stained with blood*. We may never know. 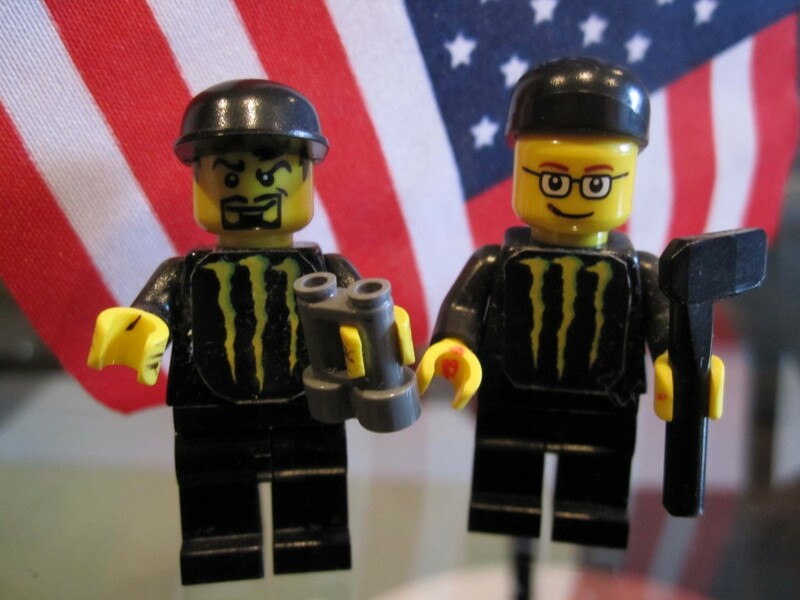 The good news is, they will travel with us in the form of Legomen, which is almost as good as them being with us in person. So starts the beginning of an unforgettable journey – “Steve and Paul’s Scandinavian Adventure.” Everywhere we go, they’ll be there with us…kind of. Stay posted to watch their adventure unfold! *editor’s note: This is purely a joke. Both Steve and Paul have valid passports but were unable to join us. Steve is an avid hunter and every race weekend, Paul manages to cut his hands in the trailer. Enjoy. 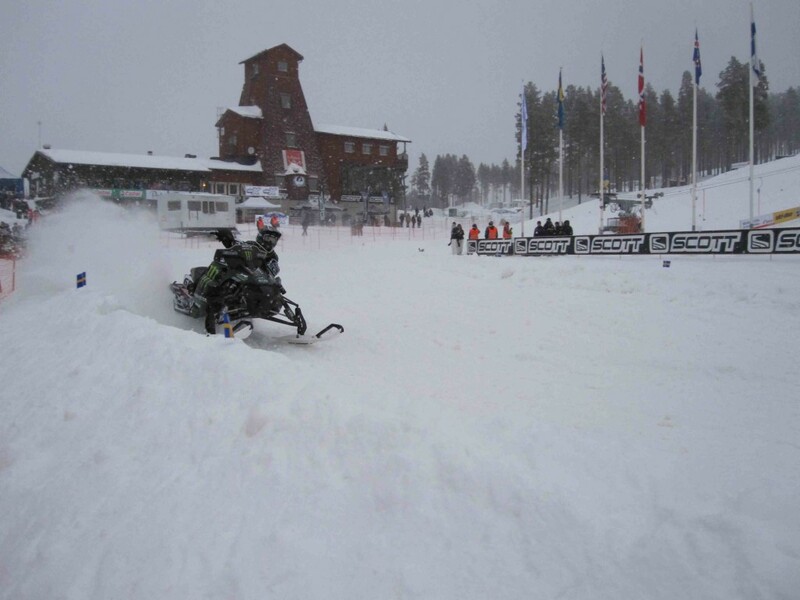 Tucker will be representing the USA at the FIM Snowcross World Championship in Mala, Sweden March 27! Click HERE to read the press release. Stay posted to www.tucker-hibbert.com and the Tucker Hibbert Official Facebook Page to follow his first experience traveling and racing overseas! Tucker is announcing very exciting news later this week. Stay posted to Tucker’s Official Facebook Page for clues!